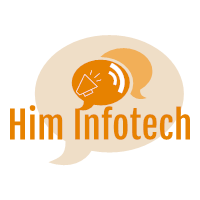 If you need any more information about the disclaimer of our site or have any questions, please contact us by email at himinfotech21@gmail.com. (https: // truenorms), strictly at your own risk.Him Infotech will not be liable for any loss and / or damage to the use of their website. From our website, you can go to other websites by following hyperlinks on such external sites. Although we strive to provide only quality links to useful and ethical websites, we have no control over the content and nature of these sites. These links to other websites do not show recommendations for all content found on these sites. Site owner and content can change without notice and before that we have an opportunity to remove the 'bad' link. This site disclaimer was last updated: 23 September 2018. Should we update, modify or make any changes to this document, those changes will be posted mainly here.